DayZ will be cheap, and the more it sells the more ambitious Bohemia Interactive will get. 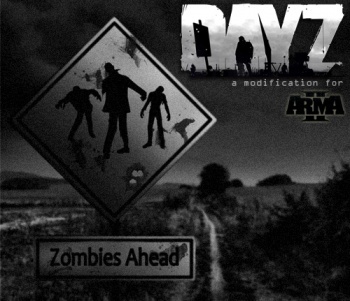 DayZ, the Arma 2 mod that is about to become a standalone zombie apocalypse game, will be out by the end of the year. So says creator Dean Hall, who went on to say that the game would be cheap, and that Bohemia Interactive doesn't "need to sell a heap of units in order to be OK with where it's going." Hall takes zombie clones - War Z, for one - seriously, which is why Bohemia is shooting for early release. War Z has yet to hit retail, but is aiming for an Autumn 2012 date. Given the similarities between it and the Arma 2 mod, Hall figures the sooner the better for DayZ. "There is no 'we hope it is,'" Hall claims. "It has to be." Besides, Hall argues, a December launch could be just the thing for DayZ. What Hall describes as a "cautious and sensible" approach to development - a description that seems at odds with the rush to release - could be followed by later expansion. An expansion hopefully fuelled by good sales, which will give Hall more resources to work with. "If we can achieve [launch] in December," says Hall, "then in January and February we can start to do all the cool stuff, move on to more ambitious features." Hall briefly addressed the plight of Bohemia's imprisoned staff. They had been working on the DayZ standalone, and their arrest in Greece on espionage charges had set the project back. "I just want to see them home," Hall said. A full video transcript of Hall's address will eventually be available via YouTube, but isn't available at time of writing.